Last year my husband and I challenged ourselves to do a “Meatless March” this month was SUPER tough for me. I really love meat, I enjoy cooking and thought this could be cool. 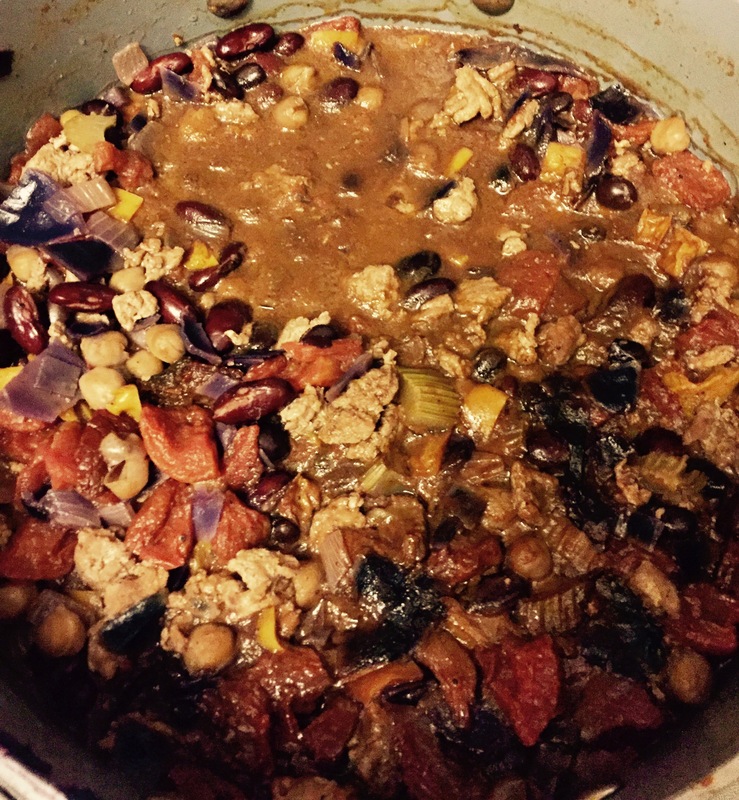 During that month I made a red cabbage chili that I constantly crave now but I add meat now! So here it is! If your kid is anything like mine you also struggle to have enough arms! 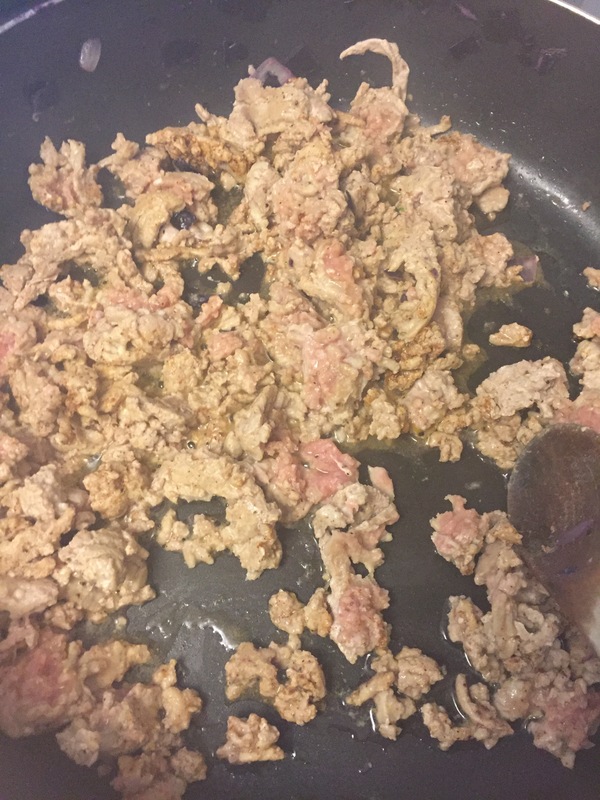 This meal is quick and easy and super tasty! 1 can of chickpeas (drained) if you don’t like you can also sub for white kidney beans drained. There are 2 ways you can do this, the first is throw it all in the slow cooker and put it on for 8 hours or! 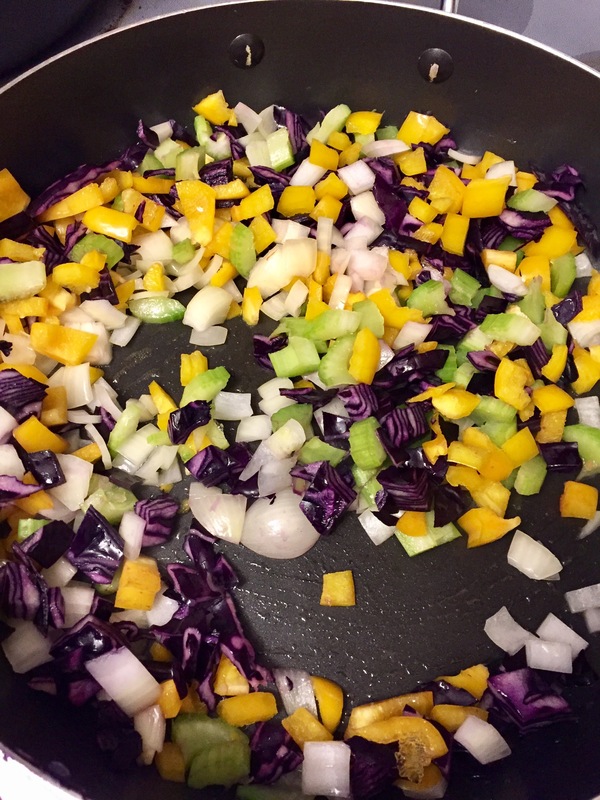 Chop all your veggies and heat 1 tbsp of olive oil in your pan. Once the onions are nice and transcluscent, then transfer veggies to a large pot. Heat last tbsp of olive oil and brown the meat, season with salt and pepper to your choice. Then transfer to large pot. 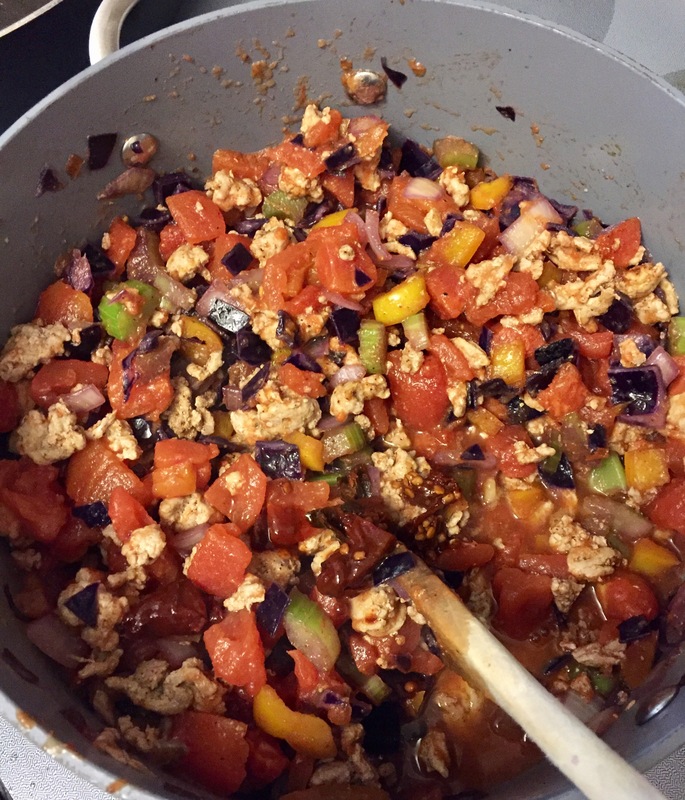 Add diced tomatoes, tomato paste and tomato sauce, Then add beans and chickpeas. Add all seasoning and water and let simmer on low for 1-2 hrs. I make this a lot when my husband is out of town because I have a few less hands to help with Pearce, so it lets me have a quick and easy meal that I can enjoy! Pearce also really loves it! For Pearce I have also blended this up and added into home made Squeezee packs and froze, now when the day gets ahead of me I throw a pack in hot water and there is lunch + some kiwi, raisins and gold fish!